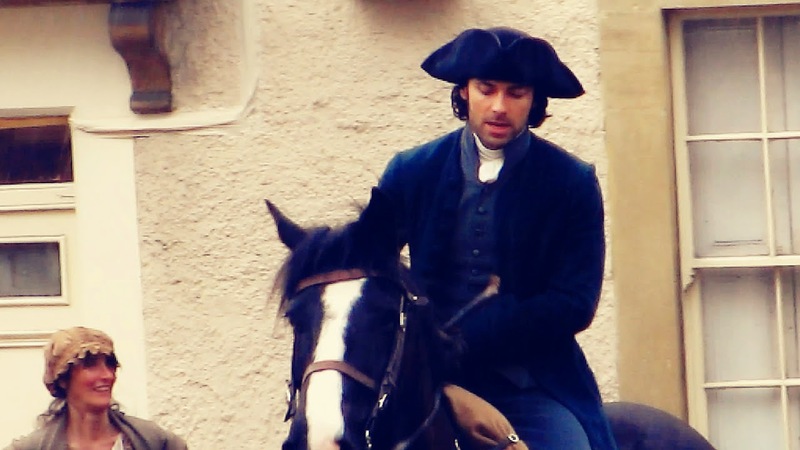 It's all go for the horses in Poldark as the filming moves to Cornwall this week. 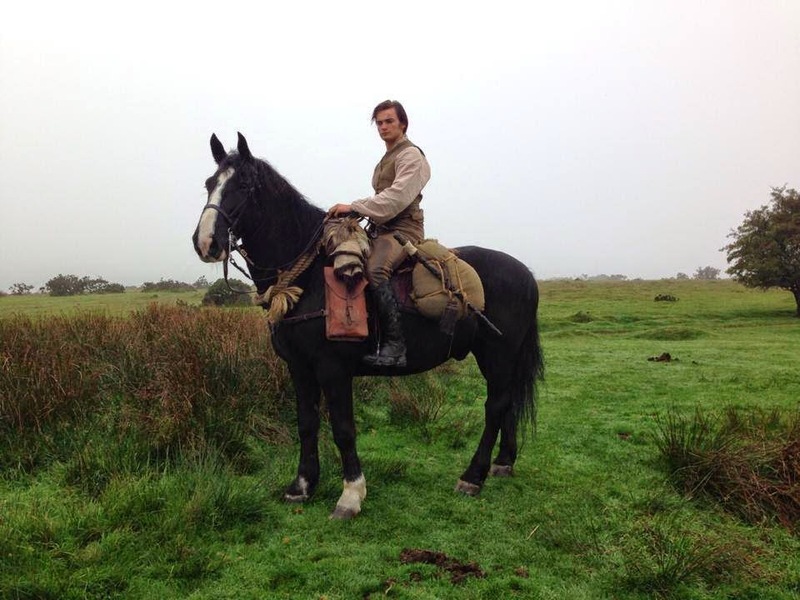 The horses travel there on the 3 June, have rehearsals on 4 June and start filming with Warren Clarke (Charles Poldark) and Aidan Turner (Ross Poldark) on 5 June. The ridden horses are owned and trained by Atkinson Action Horses and I spoke to boss Mark Atkinson about getting ready for Poldark. Mark told me, "Each character is allocated a horse and has been assessed and, where necessary, they've had lessons. The ladies have had either side saddle lessons or refresher courses in riding side saddle. Both Ruby Bentall (Verity) and Eleanor Tomlinson (Demelza) are very good riders so it's been quite easy. "Aidan came to us for a few days to practice...He seems to be getting on really well with his horse." Over the years quite a few actors have been taught to ride by Atkinson Action Horses including Matthew McNulty for Jamaica Inn. The actors not only have to ride but they have to look like they've ridden for years. 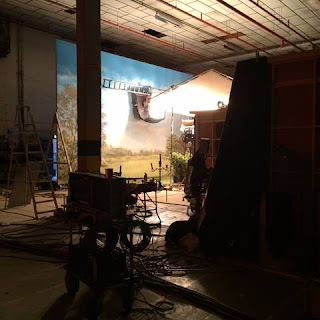 Fortunately, none of the Poldark cast are nervous of horses. Mark said, "Last week we had three actors that came for a day each. They haven't got lots of riding [in Poldark] it's walking and dialogue with the horse standing still and a bit of a trot. Within four hours they could walk, trot, mount, dismount and had been matched to particular horses." A lot of thought goes in to choosing the right horse for each character. Ross's horse is "...lovely looking but hasn't too much quality," the Warleggan horses are finer to reflect their new money status, Verity's is the elegant horse of a lady whereas Demelza's is a " brave, fast, strong little horse." There will be separate post on Ross's horse, Seamus, later this week. 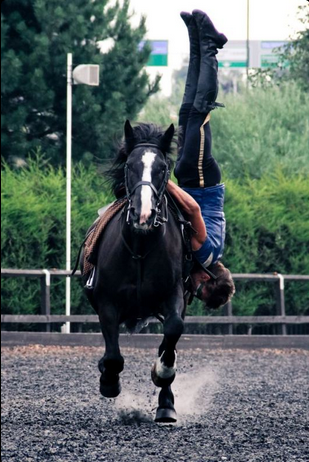 The stunt riders for Poldark also come from Atkinson Action Horses. Mark's son Ben Atkinson is Aidan's stuntie for Poldark. He was Matthew McNulty's in Jamaica Inn too. Ben's other credits include War Horse, Wrath of the Titans, The King's Speech and Wuthering Heights. Atkinson Action Horses will be in Cornwall for the next seven weeks, filming at many different locations. When they aren't busy filming, the horses and stunt riders can be seen at jousting and stunt riding events in the UK and Europe. This year, for example, they have 11 weekends of events at Bolsover Castle. Why not go take a look? In watching the series, the riders seems to ride close to the edge of the cliff. The riding track seems close to the edge or was it a skewed perspective from the camera angle and the edge is a much safer distance away. Also in a few scenes, they ride through quite rocky ground, do you work out a safe path so the horse does not get stone in foot. Thank you.